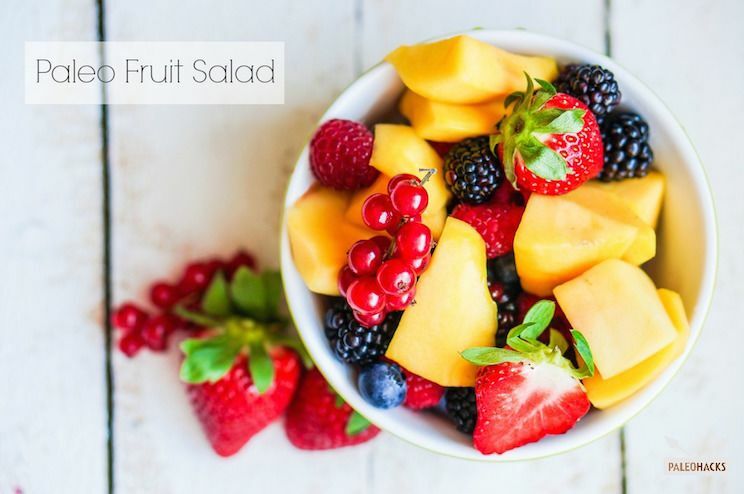 Scrumptious and easy Paleo fruit salad. I leave off the honey - the fruit is sweet enough. 1. Peel, pit, slice, and dice your fruits as prescribed. 2. Gently mix together your prepared fruits in a large mixing bowl until everything is nice and evenly distributed. 3. Drizzle with honey and cinnamon if desired. 4. Serve with a generous squeeze of citrus juice and enjoy!